and now she’s an author! When John Alexander was diagnosed with a degenerative disease, he decided to take control of his health and mindset by finding ways to motivate himself and others with Parkinson’s disease (PD). He discovered that exercise was the most effective way to take control of his health, so at 58 and weighing 290 pounds he decided to become a cyclist. His first big goal was to ride 1,000 miles in a year. Once he reached that milestone he started climbing mountains and became a triathlete, too! John’s upbeat outlook on his personal story and the stories of all his “PD Heroes” inspire readers to live well today and celebrate every victory along the way. 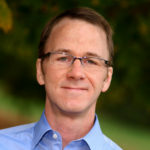 John also provides useful PD resources; the chapter on Deep Brain Stimulation surgery is especially helpful for people considering that option. 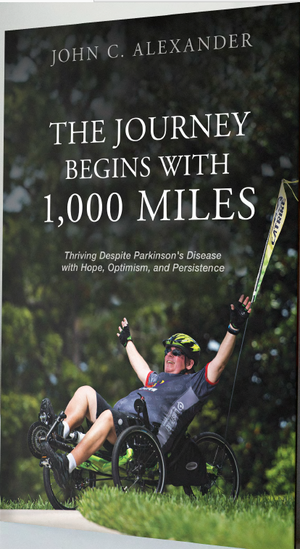 The Journey Begins With 1,000 Miles is an uplifting read for anyone looking for motivation to accomplish a goal. Please also recommend it to families you know who are dealing with Parkinson’s. Let’s help Carol and John celebrate! Please check out their books on Amazon. And leave a positive review for these books and all the books you love – it’s the best way to help other readers and the authors you support. I am so grateful to Carol and John for entrusting me with their book-writing dreams. It’s been an honor to help them unleash their inner author. Now I get to have them both on my podcast! Look for their interviews soon on Positively Powered. Look for Kristin Darga’s book, launching next month! 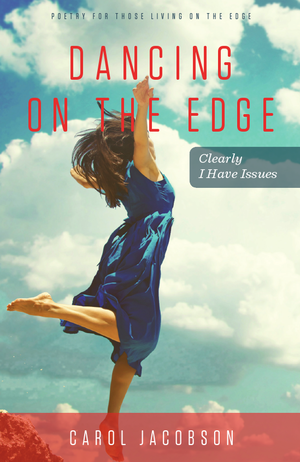 Impact Founder is a collection of stories from entrepreneurs about their real-life struggles. Kristin was compelled to start a community to support Founders who are changing the world even when they’re experiencing tough times. Several other books on topics including Social Enterprise, commemorating 911, starting a business, and stories from Hollywood are all in the works! Please join us on the Positively Powered Facebook group for tips, information, discussions, and free stuff! Aspiring authors are out there struggling to get their message to the world. 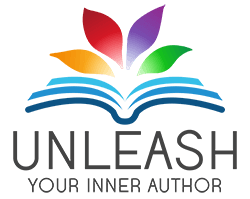 Please invite them to the community to find some answers and free resources to start, and the coaching programs and classes to complete the publishing journey. Thank you! Keep shining your positive power!